LIST YOUR EVENTS IN THE ARTS & CULTURAL GUIDE FOR FREE! The Cultural Council of Indian River County’s popular Arts & Cultural Guide to be distributed in September is now accepting events for inclusion in the 2018-19 Guide. This useful guide lists events from October 1, 2018 through September 30, 2019. 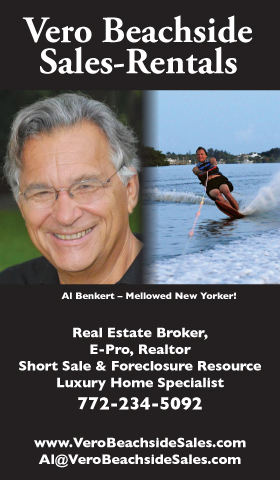 20,000 copies are delivered to all our advertisers, Indian River County and Sebastian Chambers of Commerce, hotels, realtors, business and medical offices, festivals, events and are available at the CCIRC Information Center on 14th Avenue. To list events, simply add them to the online calendar at http://calendarwiz.com/culturalcouncil. The deadline for submissions is July 1. Advertising in the Guide is affordable and has wide exposure over a full year. Visit https://www.cultural-council.org/arts-cultural-guide or call 772-770-4857 for advertising information. The North Indian River County Library in Sebastian is showing an exhibit of an art print collection of artist Roy Woodall by the “Father of American Watercolor”, Winslow Homer, through the month of June. The exhibit features 15 items in Woodall’s collection comprised of prints on paper and other collectible items featuring many with a tropical theme. Viewing hours are 10 am to 8 pm Monday-Wednesday; 10 am to 5 pm Thursday & Friday and 10 am to 4 pm on Saturdays. Howl at The Moon Experience – Boots & Brews – with musicians Orin Sands and Ken Gustafson with shows at 7:30 and 9:30 pm Friday & Saturday, May 25 & 26. Tickets $16-$18. Live in the Loop “Boots & Brews” Theme Party – Free outdoor concerts beginning at 6 pm with country bands, Pretty Ruthless on Friday and Whiskey Six on Saturday. Main Street Vero Beach presents Downtown Friday on 14th Avenue in Vero Beach on May 25 from 6 to 9 pm. Enjoy music, food, drinks, kids’ activities, and support the local charity of the month. This month’s band is Johnny & the Blaze. In addition, a Family Friendly Bike ride is scheduled each Downtown Friday evening with the Vero Beach Cycling Club. This Event is FREE to attend. 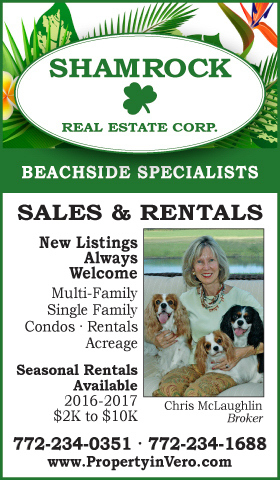 For information, call 772-643-6782 or visit www.mainstreetverobeach.org. The Space Coast Symphony Orchestra will conclude its ninth season with a program featuring Tchaikovsky’s powerful violin concerto, by one of the orchestra’s favorite guest artists: violinist Suliman Tekalli. Suliman Plays Tchaikovsky will be presented at 3:00 pm on Sunday, May 27 at the Vero Beach High School Performing Arts Center. The SCSO concert will start with Atlantic Riband by composer Ken Fuchs, evoking the struggle and ultimate victory of ocean-crossing immigrants to America in an orchestral showpiece. Superstar violinist Suliman Tekalli returns to Florida to perform Tchaikovsky’s masterful Violin Concerto in D major, written in 1878 and one of the best known violin concertos in the repertoire. Top prize winner of the 2015 Seoul International Competition, Suliman performs on a 1683 Stradivarius violin on loan through the Stradivari Society. Suliman Plays Tchaikovsky closes with Shostakovich’s stirring Symphony No. 5. As required by Soviet era standards, the work displays lyricism, a heroic tone and inspiration from Russian literature. With an unmistakable undertone of sadness, however, the symphony conveys an indomitable spirit and remains Shostakovich’s most popular. $20 advance tickets for adults are available through the orchestra website atwww.SpaceCoastSymphony.org or at the beachside and mainland branches of Marine Bank & Trust. Tickets at the door are $25. Suliman Plays Tchaikovsky is free for those aged 18 and under or with a student ID. The Navy SEAL Museum’s annual Memorial Day Ceremony service will take place on Memorial Day, Monday, May 28th at the Museum’s Memorial Wall. The flag retirement ceremony will begin on property at 8:00 am, followed by the official ceremony at 9:00 am. The service will open with statements from Rick Kaiser, Executive Director of the Museum, and continue with an invocation and the unveiling of the names of the SEALs who have died in combat or training this past year. Gold Star Father, Daniel M. Robinson will serve as the special guest speaker. Mr. Robinson is an avid speaker and active supporter of Gold Star Families. Following the service admission into the Museum is complimentary until noon. Open to the public and free of charge, a capacity crowd is anticipated. Early arrival is strongly encouraged to ensure parking and seating. For more information, visit www.navysealmuseum.org. LOOKING FOR SUMMER CAMPS FOR KIDS? Next Why is the City of Vero Beach mainland being denied what other cities offer as an amenity?